Friendly user interface authentic “MARA-GCS” mission control software. Compatible with popular open source mission control software. Up to 6 hours of autonomous work. Wide range of input voltage (12 – 24V DC). Support of standard local network interfaces. Mil-SPEC laptop with bright, sun readable screen. Terminal sun shield helps You to see monitor on the bright sun. 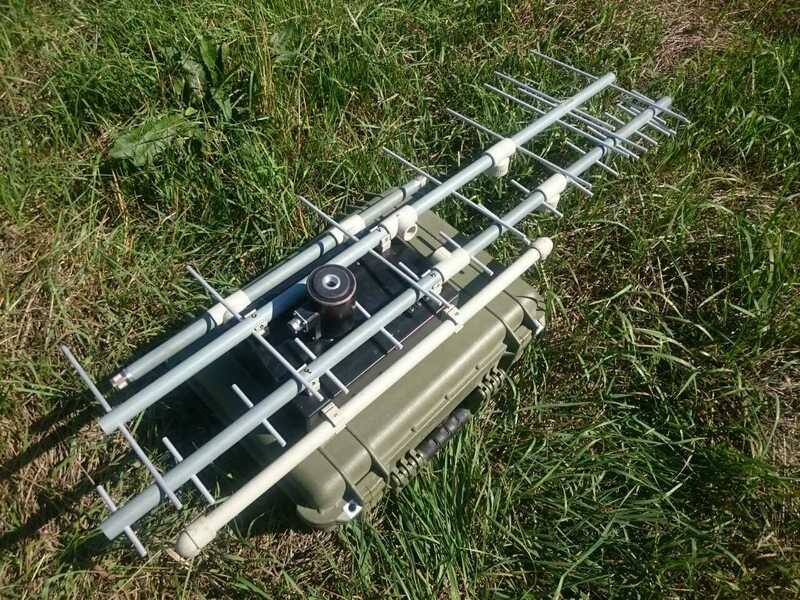 MARA GCS antenna module is high tech data communication device, which gives extra range and automatisation to drone. Inside the black box it has data-link modem, power microcomputer, which allow high rate video compression and data analysis. 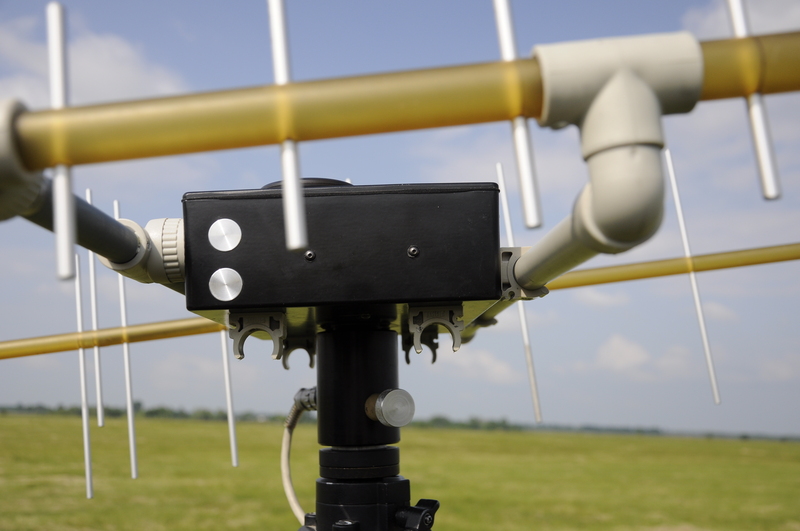 The 360 degree continuous rotation, GPS receiver and magnetic compass allow azimuth tracking system to always keep antennas directed to the drone. 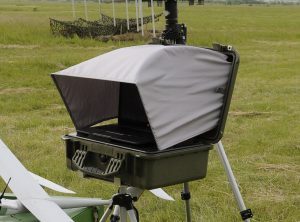 Module can be installed on on a tripod or telescopic mast. Antenna module connected to the terminal by ethernet (TCP-IP protocol) and powered by passive POE (14-24V). 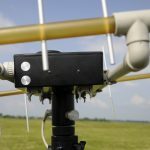 Antenna module software and layout easily could be modified under Your requirement (for Your data-link and video down-link equipment). 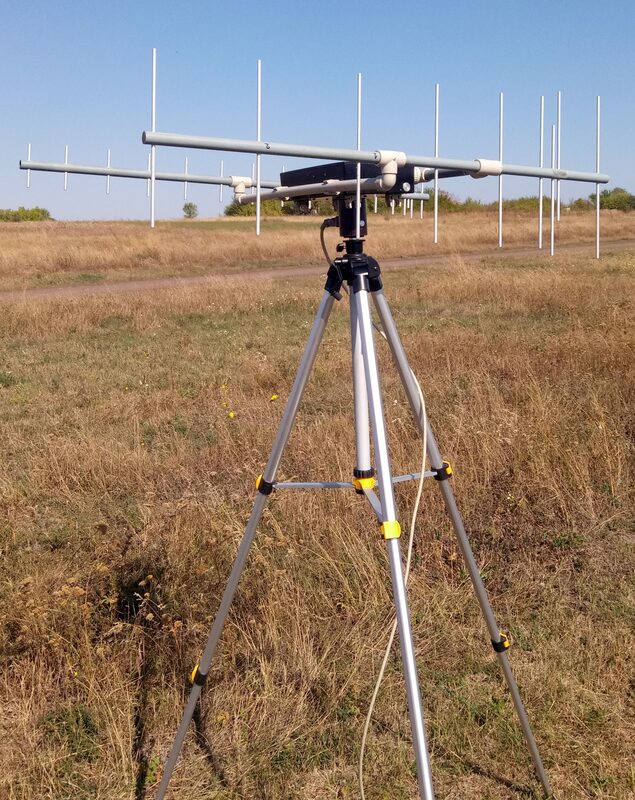 Unique designe narrow-band Yagi antennas, gives extra range to Your drone but allow to easy transform antennas into compact storage position.No wires connection of antennas gives them great stability and durability. 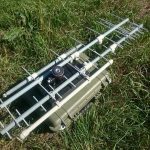 We also able to redesign and test antennas for most of other frequencis and to create filters and low noise amplifiers to achieve best performance of Your radio equipment.